Freedom Planet kind of sounds like a cheesy eighties movie starring Cristopher Lambert going off on a strange otherworldly space adventure. In reality it’s something quite unexpected, namely a Sonic clone that introduces a fair amount of original gameplay mechanics and a fun storyline. We were quite eager to see what this newcomer to the platformer genre could bring to the table, and we were even more interested to see how the need for speed would be translated in this clone of the famous blue hedgehog. Be it handheld or on the big screen, we were quite impressed with this original title. 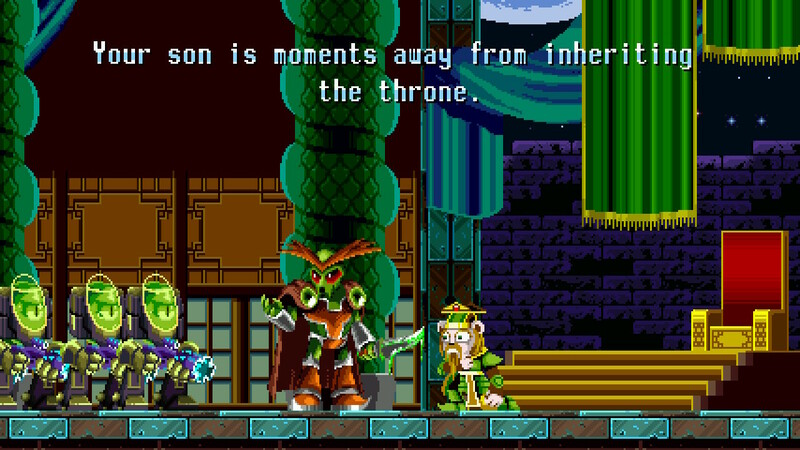 In Freedom Planet you’re thrown into a world that has three major kingdoms ruling the world. Sadly, one of the kingdoms gets corrupted by alien invaders when they slaughter the king and brainwash the son into creating a dictatorship driven by revenge. The alien invader by the name of Lord Brevon, who destroys worlds to make sure his own can survive, is aiming to steal the Kingdom Stone, which provides power to the entire planet. The removal of this stone would guarantee the demise of this world, but it would give Brevon enough power to expand his military might to one never seen before in the universe. To stop this, the fate of the world is placed into the hands of a feral and cheeky wildcat and a cute but dangerous dragon girl. Later on they will expand the party with new allies (one playable) and they’ll have to work together in order to keep their world in one piece. The story is told in a fairly childish way, but the game does not shy away from some more violent scenes where characters get killed off by the evil Lord Brevon. Nonetheless, the story develops properly into something you wish to see through, even if the game only takes around three to four hours to finish with one character. Graphically the game is very reminiscent of older 2D Sonic titles, which isn’t necessarily a bad thing. The game is very colorful, has many different enemies, perhaps even more than any old Sonic game had, and it introduces interesting and likeable leading characters. The different worlds all have their quirks and look appealing to properly explore, or as an ideal backdrop to speed through things. 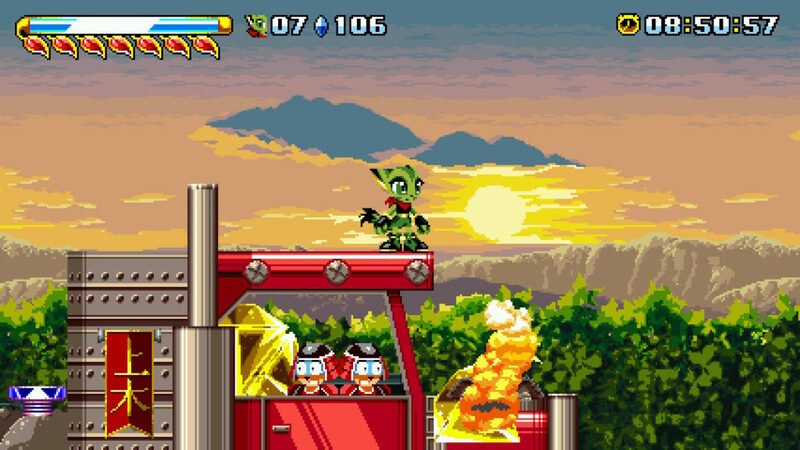 Some of the themes used in the levels are also a bit similar to certain Sonic levels, but Freedom Planet introduces many original quirks and fun enemies in order to give the game their own unique spin. The sound design in Freedom Planet is amazing, from the superb and upbeat soundtrack to the fully voiced narrative. The latter is truly grand for a ‘small’ game such as this where usually not that much time is spent on voice acting compared to an upbeat and likeable soundtrack. 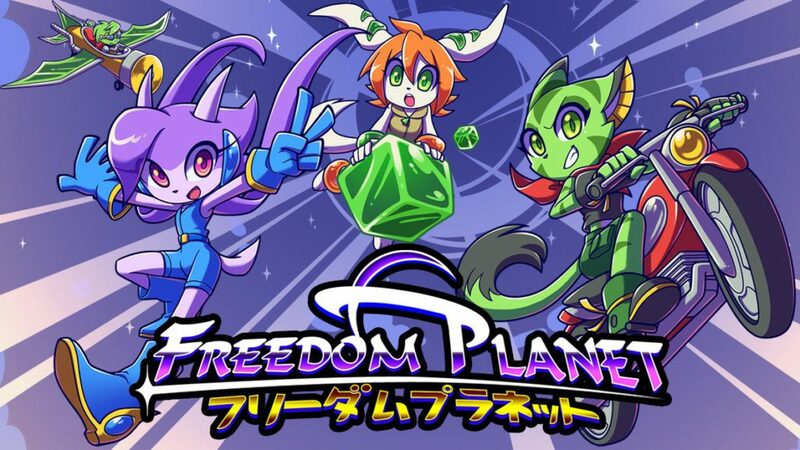 Freedom Planet pretty much has it all and when combined with the superb pixilated graphics you’ll truly get the full package with this fun bite sized title. 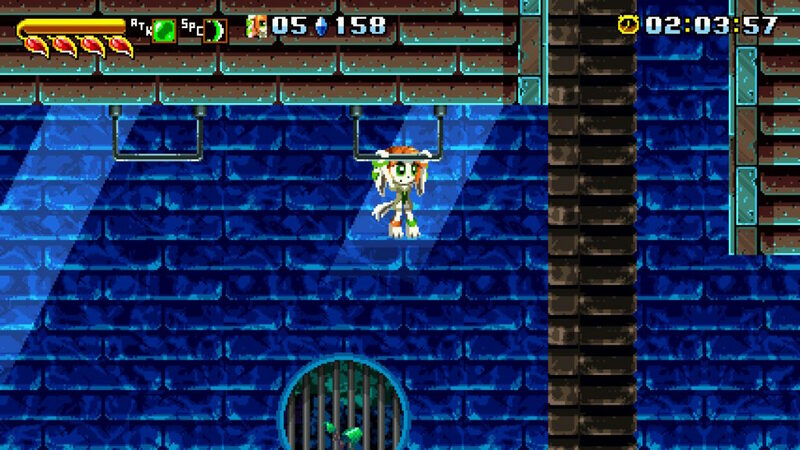 Freedom Planet is an action platformer much akin to the 2D Sonic The Hedgehog titles. You’ll be speeding with one of the available characters through the different levels of the game, where you’ll constantly be battling off alien invaders, robotic enemies and giant bosses. Other than that, it’s platforming all the way, and each character handles differently, so choosing another available persona will guarantee a different playthrough. The game will allow you to pick the story mode, the classic mode or the time attack. The time attack will only allow you to pick stages you have already cleared with the character of your choosing, so it’s best to try out the other modes first. The story mode is truly entertaining, and it gives you the ins and outs of the game, and you’ll be able to unlock the third character and play through the game with one of the first two available characters. The classic mode however is pretty much the same as the story mode, but without the story portions in-between. When picking a new game afterwards, you can either opt to play the game with the other character, or start off at a different point with the third character. This means the game has a decent replay value, as no playthrough will be the same. Freedom Planet is a great homage to the Sonic games, while never actually copying the source material. The game offers a lot of interesting and unique content, an intriguing storyline, appealing characters, beautiful graphics and a perfect sound design. If you’re a fan of old school Sonic games, but you want something extra on your plate, then Freedom Planet is certainly a title worth checking out. If you have a Switch and missed this title when it was on other platforms, this is pretty much a must have if you’re fan of platformers.